The wait is over! Our new EP, Redwood, has arrived! This is a project like no other we have done before. It is also the perfect compliment to our fiddle rockin album, Greenwood, that we put out last year. Over two weekends in January 2016 we made the trek up to Anza, CA to camp out at Weathertop Studio, a new recording haven built by our good friend Matt Maulding. 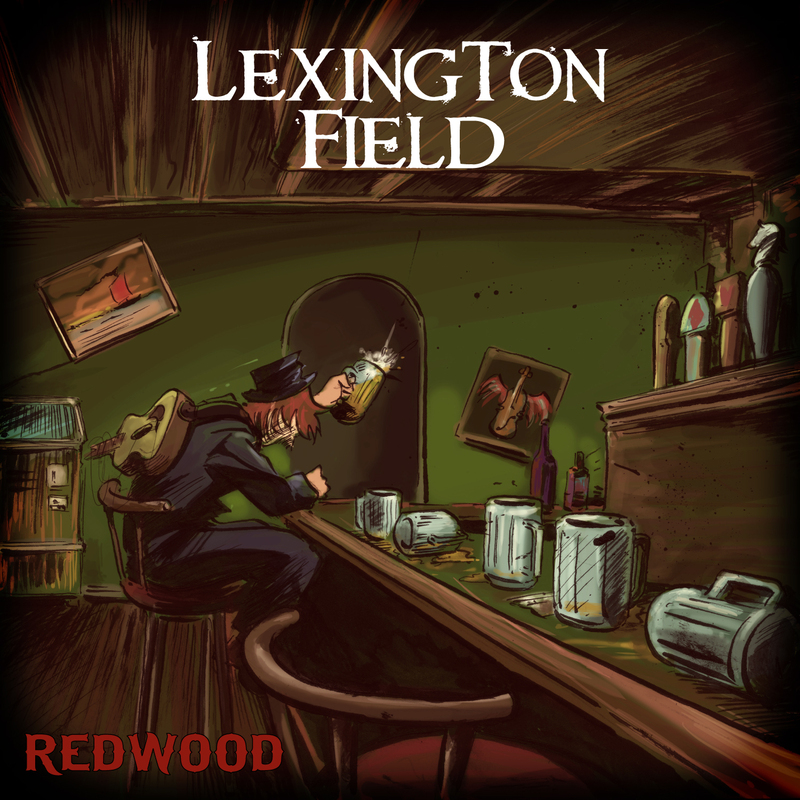 We created six new versions of past Lexington Field songs. We had so much fun hanging out, drinking beers, and making music. It was an awesome experience, and now you will be able to hear what happened over those four days. We will be at Rosie O’Grady’s TONIGHT to celebrate the release of Redwood! Our good friend Wicked Monk, who went on tour with us last year, will be opening the show! We will also be having special guests, Matt Maulding and Jeremy Royer performing along side us on stage. We will be playing Redwood in its entirety as well as some other fiddle rock songs throughout the night! Not only are we celebrating this awesome new EP, but also Lexington Field’s 7-Year Anniversary & 400th show!!! I can’t believe we have been able to do so much over the years. Thousands of miles on the road and thousands of hours doing something we love – being in this band! You can now purchase Redwood over at iTunes and Bandcamp or pick up your very own copy tonight at Rosie’s!